Group Executive Legal, External & Regulatory Affairs, Rio Tinto. Member of the Rio Tinto Executive Committee. 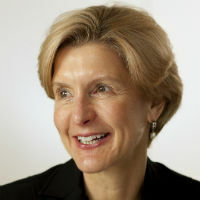 Former: Deputy General Counsel and Secretary, United Technologies Corporation; Member, Antitrust Modernization Commission; Partner, O’Melveny & Myers (Washington, DC); General Counsel, US Federal Trade Commission. Member of the Council on Foreign Relations, the American Law Institute, the ABA and is on the Board of Chatham House’s North American Advisory Council.